So, here we ere again. I’m not going to post some simple update full of hope and false promises. I really did believe that I was going to start writing more and more when I posted the last few times. I thought that I was finally over the hump of being busy and distracted and pulled in a million directions. I finished my master’s degree. I left a job that didn’t fit to return to a much better role for me. I had time and, I thought at the time, motivation. I was ready to go back to writing about cycling, life, weight management, and what was happening in the world. I thought I was ready to get back to writing the blog. Maybe not. All of these distractions masked the real problem. Or problems. I had fallen off the weight management wagon. Fallen off the wagon is not the way to explain what had happened. I lied to myself about why I wasn’t exercising. I had told myself that I was too busy with school. I had blamed it on not being able to run due to a foot injury. I told myself that I wasn’t riding because there just wasn’t enough time in the day to get a good ride in. A lot of this was true. A lot of it stopped being true but I didn’t get back to work. I didn’t just fall off the wagon. I took the wagon apart and built a house to live in like an old settler traveling to the western frontier. Not only had I stopped moving forward, I seemed to take away any chance of resuming. I have gained forty pounds since I stopped working on weight management. I stopped running. 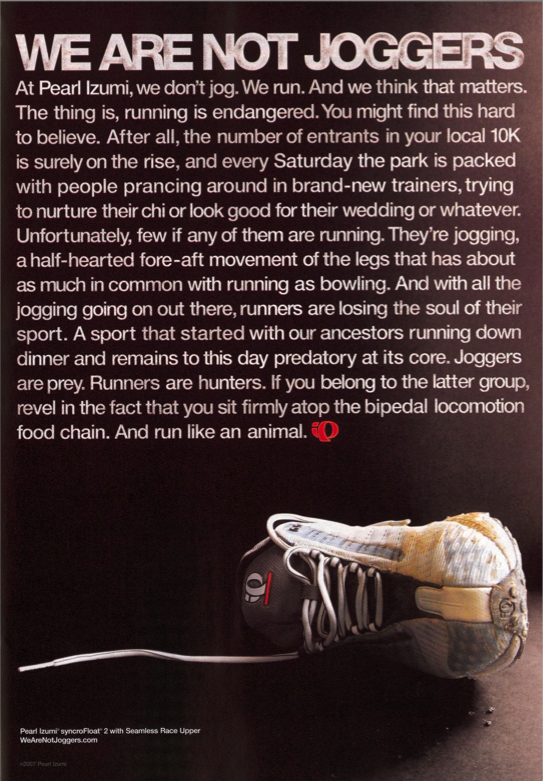 Sure, I had a foot injury that put a stop to the running for a little while, but that eventually healed. 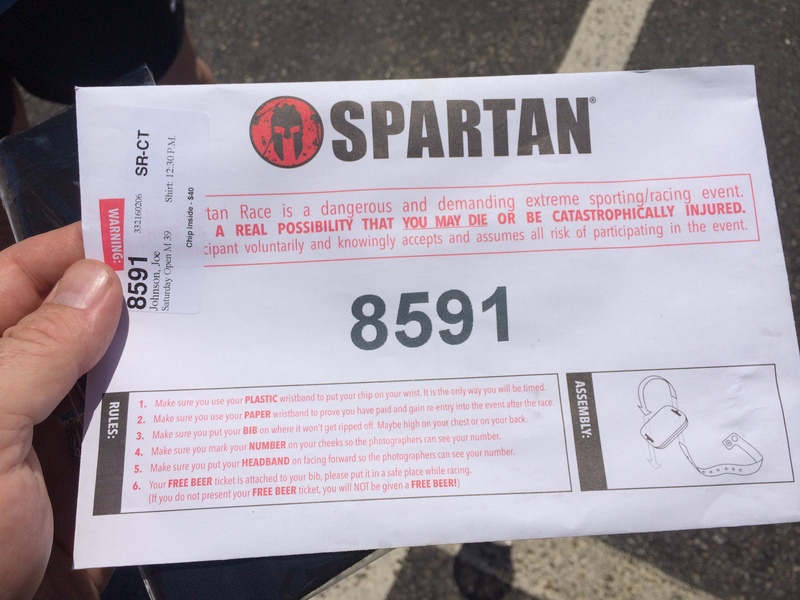 I still didn’t run. The more weight I gained, the more I didn’t run. I would love to say that I had a reason, but I didn’t. I traveled this summer but managed to not exercise despite having great trails to explore. I had plenty of down time, and plenty of help around the house but still couldn’t force myself to run. I didn’t do much better on the bike. A new multi surface bike didn’t motivate me to get out there. I did manage to do a few big rides. Katie, Ed, and I returned to the 5 Boro Tour in New York City. It was a great ride, made even more fun by some of our Brake the Cycle teammate joining us for the ride. We had a great time representing the organization and answering questions about our group. I managed to ride for a day on the Brake the Cycle ride as well. 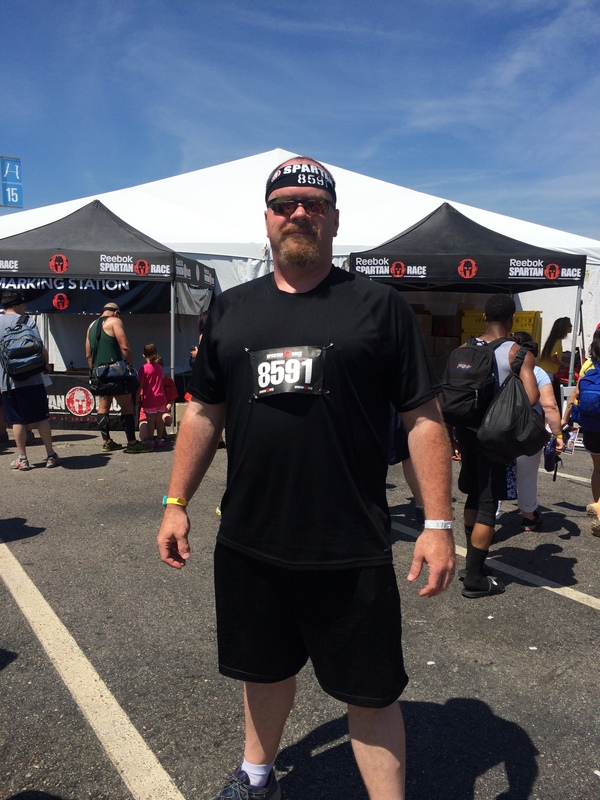 I switched to support when the first 45-mile day wore me out. I used the excuse that the group needed support more than another rider. I guess lying to myself was a skill that I was developing along the whole summer, all the better to stay off the wagon. So, things weren’t going well. I also didn’t write because I didn’t know what to say. How do you talk to people about staying positive and working toward a goal when you are running away from that message every day? I was struggling with a few other issues as well. Like most people, I was wrapped up with what was happening in the news. How do you talk about cycling and personal motivation with everything that is happening in the world? So, what changed? Why am I writing now? What answers do I have to any of these questions? First, the last question. There is nothing I need to say here about any of that. Why? Because cycling. The best part of cycling is that we are all in this together. We don’t need politics. We have the bike to talk about. We have the hills to fight, not each other. So, no politics here, unless we are talking about bike lanes. So, what about the rest of it? I try again. Katie and I joined the YMCA today. We start running again tomorrow. Small steps, but it is time. I have been riding again, little by little, on a trainer. I have set up my trainer and started using Rouvy, the training program for Cycle Ops. I am going to detail my trainer set up and Rouvy in next week’s blog. See you then. So how do you battle not feeling like writing or working out? I guess you “accidently” schedule two super fun events back to back to end the summer! 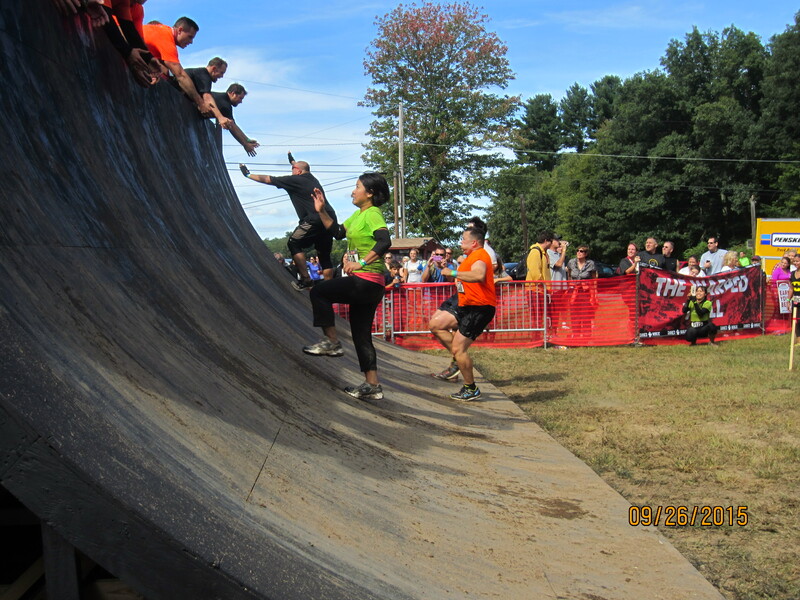 The first was Rugged Maniac New England and the second was Cycle Martha’s Vineyard. More on the bike ride next time; this update is about all things Rugged! The blog’s new team shirts! Designed by a wonderful friend, Katie. First things first, new team shirts! Designed by a wonderful friend, Katie.irst, I need to thank my great friend Katie who designed the teams awesome shirts! We always name the team after the blog but we never had a great shirt to go with it. Thanks to Katie we were looking very stylish in our shirts. I also want to thank everyone who came out to run this race. My best friend Norm ran his second race with us and my sister in law Beth flew all the way from Florida to run. 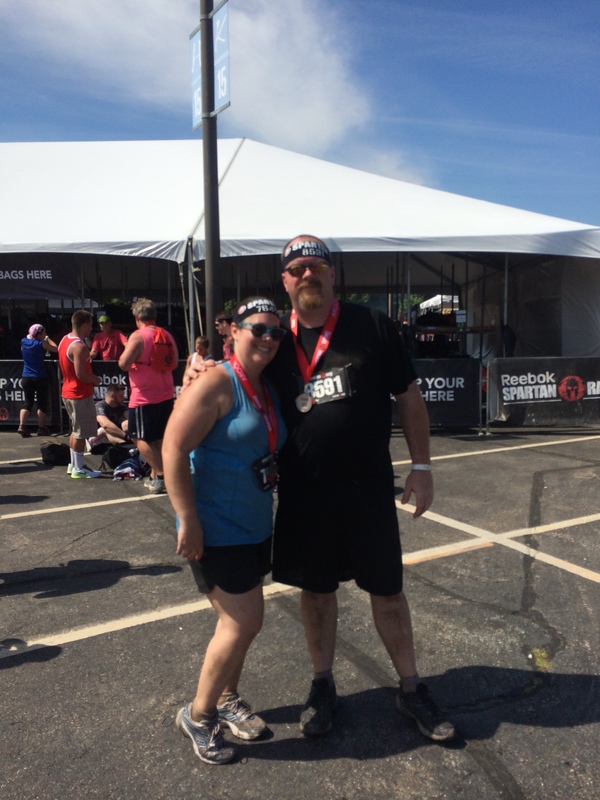 Best of all, my wife made her Rugged Maniac debut after a huge assist from the race organizers. Also in the list of “thank yous” is one for my father in law who took a ton of great race photos, all images here were taken by him. 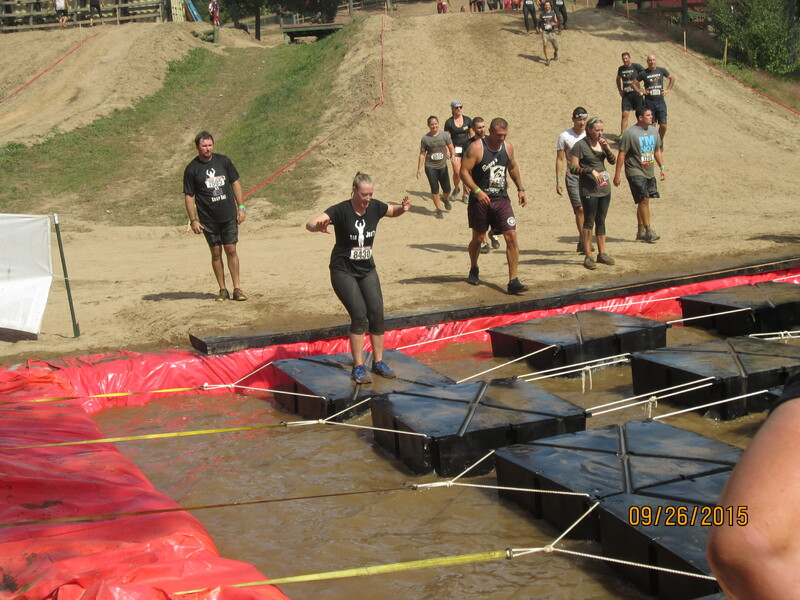 Beth jumping onto the floating steps! I cannot say enough about how helpful and friendly they were in helping Katie find a last minute spot due to cancellation as well as keeping the entire team on the same start waive. 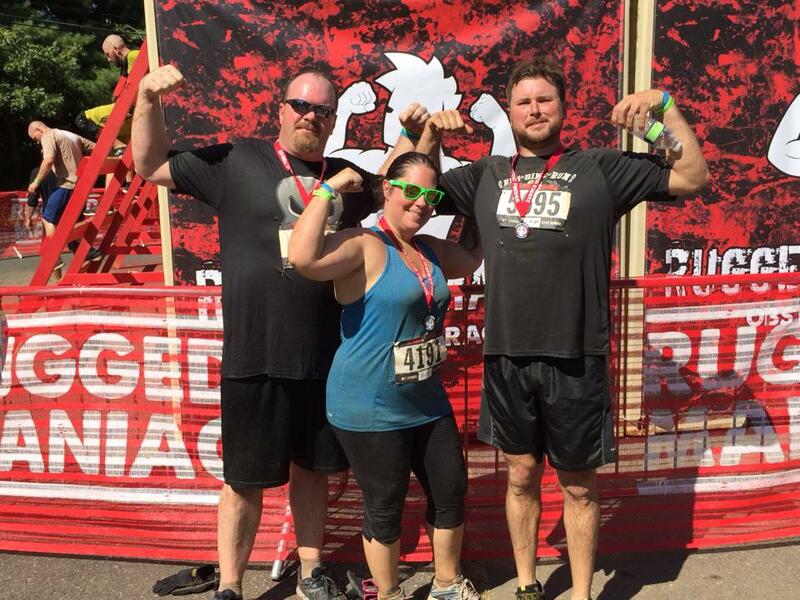 Every year Rugged Maniac puts on a great race and the staff does whatever they can to make each person’s experience a positive one. I emailed the staff a week prior to see if there was a way to get Katie in because of a cancellation on the team and they came through. Then there was an issue with start times where we somehow were split up and they were able to help again. Even the volunteers out on course were on another level from other races, cheering for the team and encouraging everyone. Again, I can’t say enough good things about this race staff and volunteer group. Norm has been my best friend since we were kids, and now I have him racing OCRs with me! Along those same lines I need to say a few things about the venue. 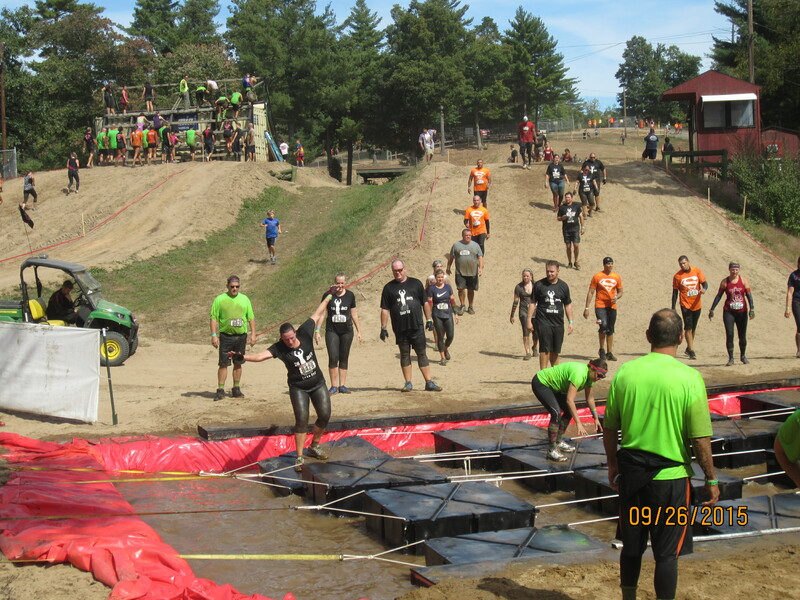 Running an obstacle race on a motorcross track is a stroke of brilliance. 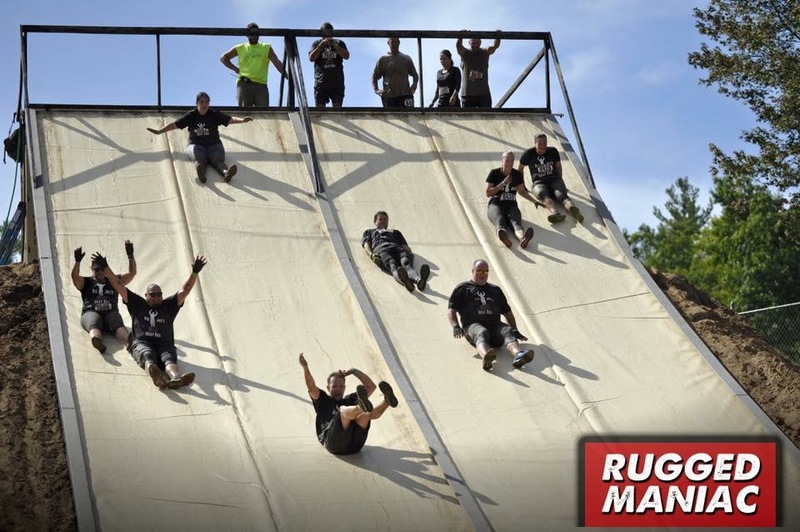 Most other local races seem to struggle with creating obstacles on a flat course; Rugged Maniac had the great idea to make the entire course an extra obstacle! 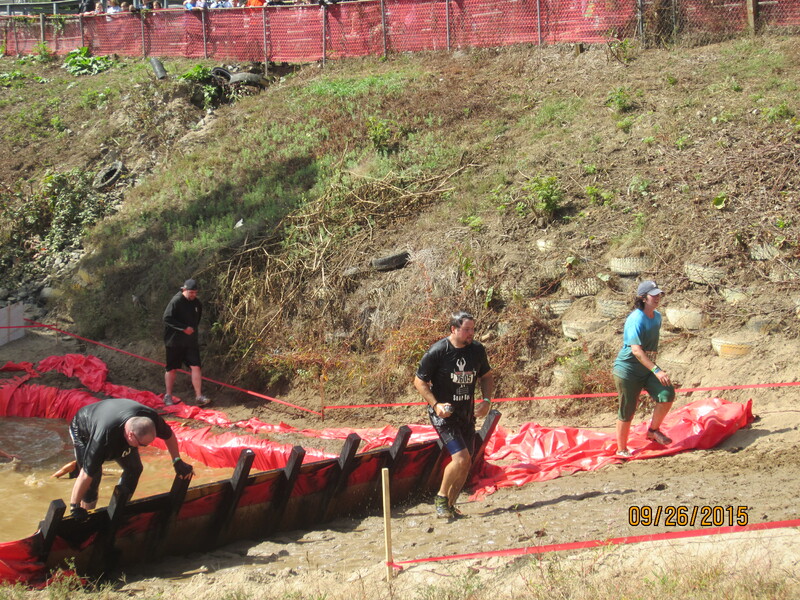 The jumps and landing zones made great hills and the low spots between gave the organizers a great starting place for many water obstacles. On top of that the series has really benefitted from the infusion of funds from the Shark Tank investors. The manufactured obstacles were better than ever. The pacing was spot on as well. 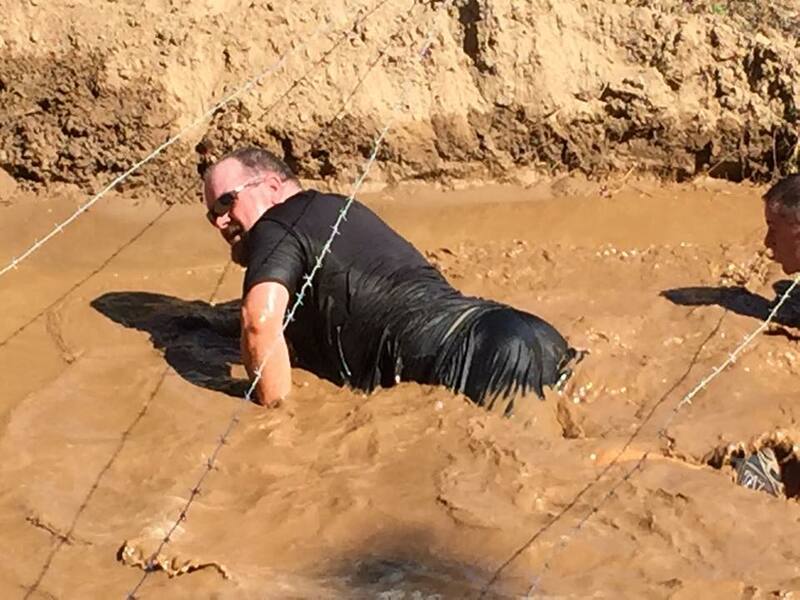 I never felt like I was running to far between each obstacle and they were varied enough where I never felt like I was crawling through another barbed wire crawl just because the race needed one more obstacle and it was the easiest thing to do. Did I mention the giant slide? Lastly, before I get around to writing about my race I should mention the after party. This is one of the rare races that actually spends time and effort on getting the party right. There is a hosted competition of games, from pull ups to holding a beer at arm’s length there is a game for everyone. There is a mechanical bull and live music. There is food. Sooooo much good food. Oh, and a free beer if you are old enough and interested. The giant slide was a lot of fun! In addition to all of our guests the usual suspects ran the race as well. Angie recovered nicely from her injury in the Gaylord Gauntlet and ran well. Ronna, Steve, and Joe also ran well. Clint ran away from us and then ran back. He even did some of the obstacles twice while he waited for us. The biggest surprise to me is that I ran well too. Really well. I was able to run well enough that I could almost see where I was before I kept hurting myself all summer. 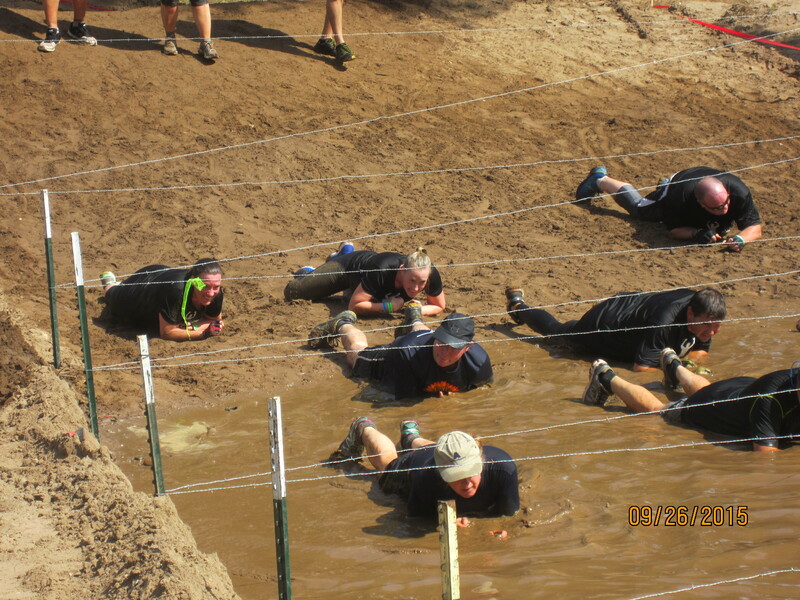 I wasn’t as fast or as strong as I was, but I could almost feel it as I went through the obstacles. I held onto the ring cross longer than I thought, and came thisclose from getting up the warped wall. It was just enough to see the light at the end of the tunnel. I can get back, and this is the race I could almost see being there. It is huge for me. 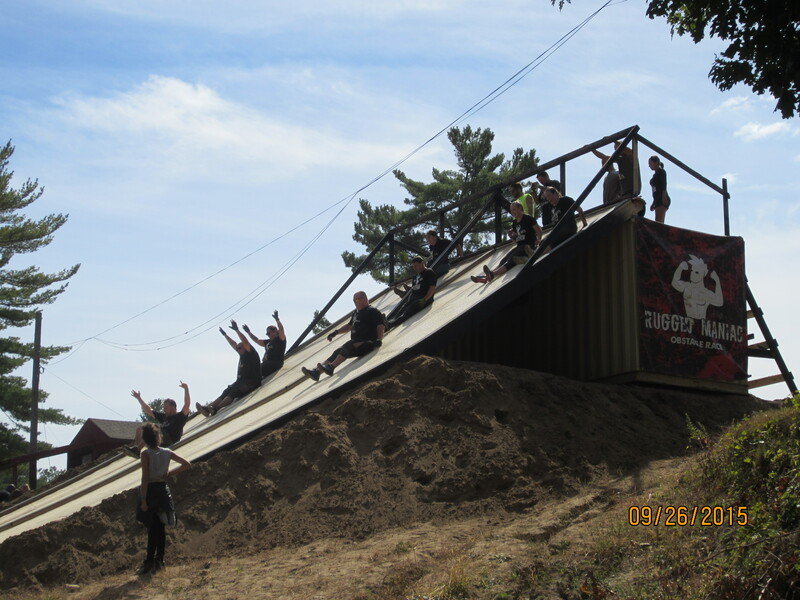 The warped wall was the hardest obstacle there this year, but a great way to close out the race! 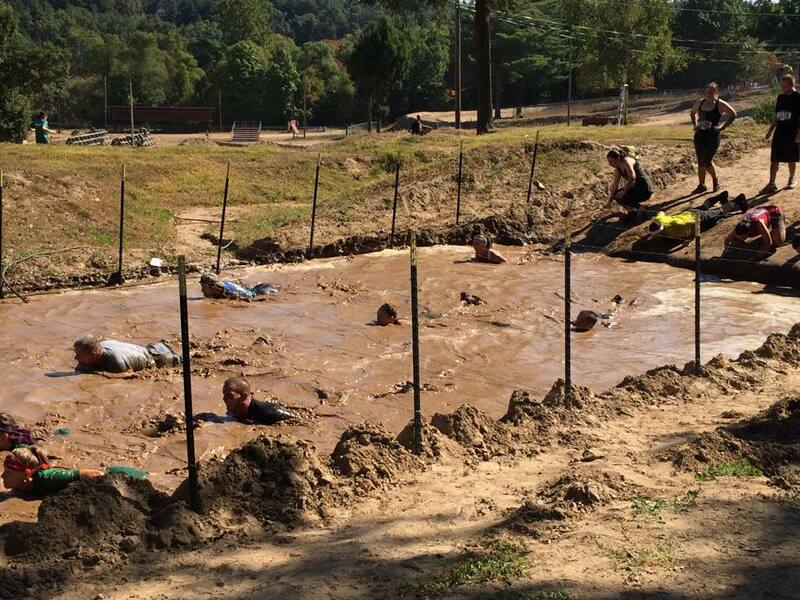 The best thing about running obstacle course races is the messy fun that breaks up the monotony of a normal race. I run to train for cycling and to train for OCRs. 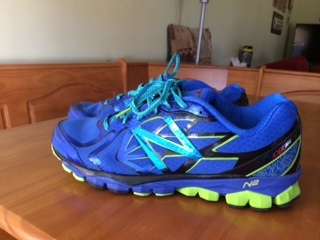 I run 5Ks and other races for charity or for the experience but I never really enjoy running. 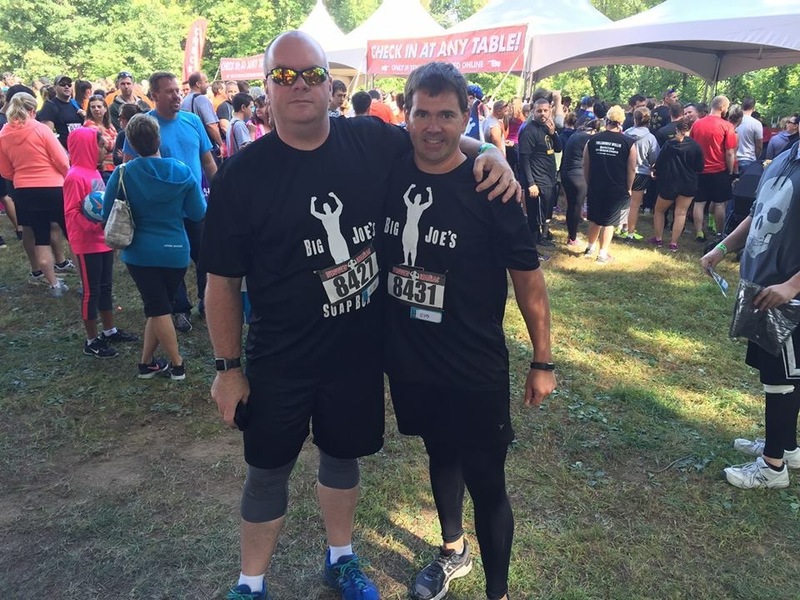 It is very different running an OCR! 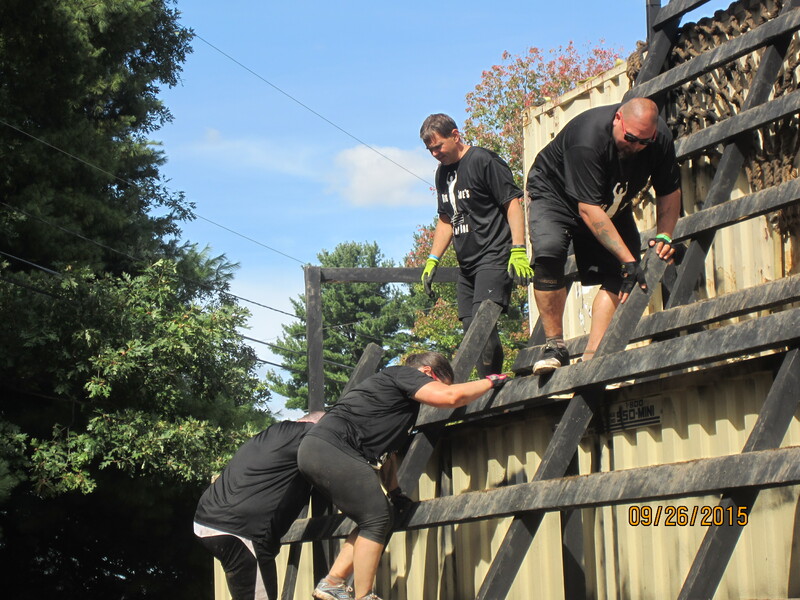 You run until your team hits an obstacle and then you all work together to clear it. Sometimes it’s fairly easy, you jump a small wall and then cheer on your team. Other times you hit a 15 foot high wall and you have to help your teammates over that are scared of heights. Or talk the claustrophobic ones through the sewer pipe crawl. Or untangle a teammate’s hair from the barbed wire. No matter what the race is always challenging your limits in every way which keeps things extremely fun. Races like this quickly turn from intimidating to addicting. My wife started the summer deathly afraid of OCRs and now she is looking for the next challenge. Over the flames and into the ice cold water! 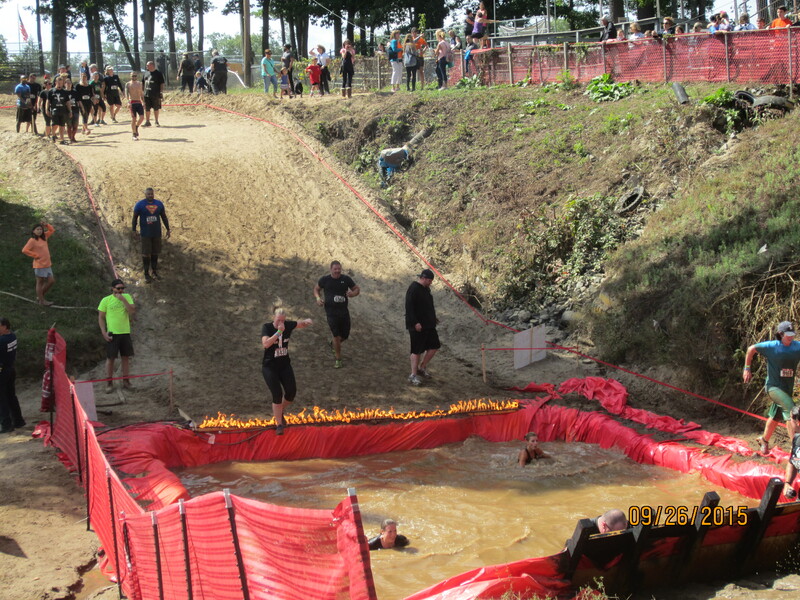 Great obstacle! 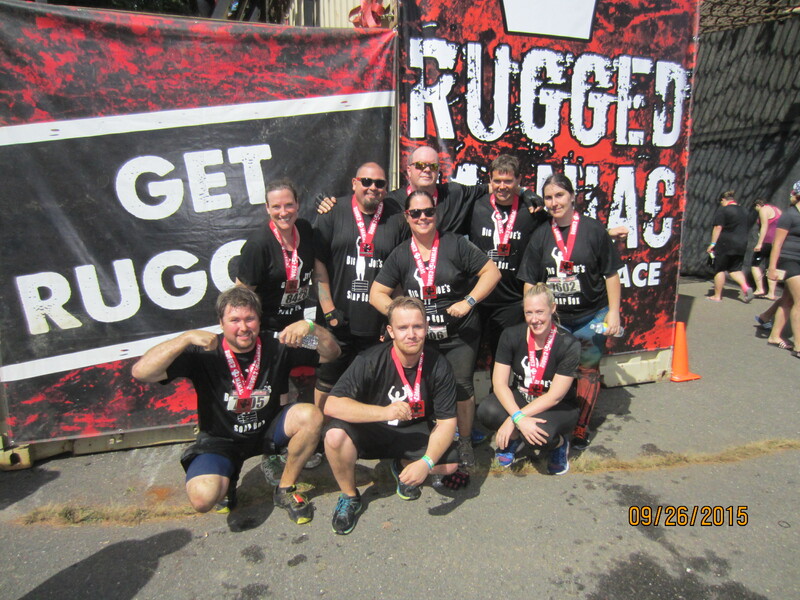 I said a lot of positive things about Rugged Maniac New England in the beginning of the story, but in any review or recap the real result is would you run the race again? Would you recommend the race to friends and even put your hard earned money down? The answer is this, my entire team has already signed up again. There was a booth in the finish fest for pre-registration for 2016 and no one even hesitated. Once again I will put out the call to anyone wanting to join us. Team Big Joe’s Soap Box will run again next fall in Southwick Massachusetts, who wants to join in? The team climbing out of the ice water. There was a lot of barbed wire. I mean a lot. The frog jump was difficult but fun. I received the auto renew on the site and realized how long it had been since I had posted here. Why? I’ve been struggling to answer that for a while now. I wish there was an easy answer, but like most things in life it’s just not that easy. There are a lot of reasons. My job got a little hectic. My family takes up more of my free time, and happily so. I have been trying to solve a few computer issues. Life gets in the way. All of that is true, except none of that is really true. What is really true? I got hurt. Not severely, but almost constantly. I have a bad back. It seems like I was in constant pain for almost the last year. I have also had issues with my foot causing me to not be able to run. Again, nothing huge but always there for the last year. It would cost me a week here or there. Not enough to be a real problem, but enough to stop forward progress. So why did life interrupting plus injuries cause me to stop writing? It was because I stopped riding. And running. And training. Again, not always. Most people would look at my event calendar and say that I was out of my mind, I hadn’t missed anything. You would be completely correct. I did manage to hit every event, but sometimes that was all I was able to accomplish that month. Just as important, I did as poorly as you would imagine someone would do without training for an event. All of this weighs in on why I haven’t written. You see, I started this blog to be a positive voice. I’m a big guy trying to get fit. There are a lot of us in the world and we don’t often hear positive voices. We hear people (including ourselves) tell us we are fat. We get intimidated at the gym. We know we don’t fit in, and worse, we know we stand out. I wrote to be a small voice saying yes, that is true, but it doesn’t diminish our effort. It doesn’t make us worth less, it just makes us different. The issue is I had very little positive to say. It is hard to be positive when you feel like you are failing. Every time I got hurt or missed a workout for some other reason I felt less like writing and more like hiding. I would have less to say because I couldn’t get over the idea that I sounded like I was complaining. I don’t like to hear myself complain so I didn’t want to put it here either. What I missed is that I think everyone ends up where I am sometimes. People get hurt. People get busy with life. People lose track of what they are working on and lose ground on goals. Not everyone is blessed with a great body and no one is perfect. So we stumble and struggle and try. No one can be positive all of the time, but we can support each other. We can share stories and laugh at some shortcomings as well. We can pick each other up. So here I am, back again. Resetting the blog and trying again. Getting back up and writing, telling stories about what is happening, the good, the bad, and the sweaty. This week starts a new commitment by me to write every week. To blow off the cobwebs and get back to work. 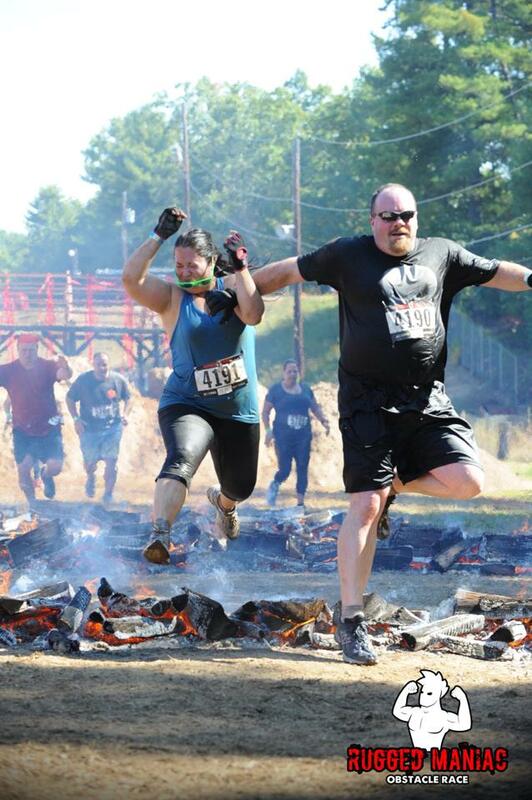 First up, I am heading back to Rugged Maniac this weekend. Look for a full report next week! One of the many things that I put to the side while on hiatus was my nomination for a Versatile Blogger Award. First things first I would like to thank Julie Stock for nominating me. She is a great writer, blogger, and a member of Monday Blogs on Twitter. She is one of many bloggers that welcome new voices to Monday Blogs and helps promote them as they find their audience and a consistent voice. The Versatile Blogger Award is unique because once you have been nominated for the award, you win it. If a blogger who has won the award feels you deserve to be nominated you automatically win and you then must follow some version of the rules and nominate other deserving bloggers. It’s a great promotion device, but it is more than that. It is a way to feel validated, and in turn validate other bloggers. Every starting blogger feels like they are speaking into the void. None of us speak about it much, but most of us obsess over it. We feel like we are shouting into the abyss. When we start blogging we write, sometimes using our best ideas, and we post to our site knowing that no one will read our work. We do it because we are writers and we have to start somewhere. We do it because we hope that this will be the week that someone notices. We do it because we hope that one day we will have a following and that people will go back into the archives. We promote our sites and we hope someone notices, but for the most part we don’t know if they do. We check our statistics on how many page views and visitors we receive and we promote until we see results in our numbers. The internet is a crowded place full of content creators, but devoid of an easy way to find an audience. You have to compete with uncountable sources of bloggers, Youtubers, Tweeters, and everyone else to get someone to come to your site to check out your blog. You scream and shout and plead and cajole in any way you can, feeling all the while like a carnival barker selling what is in the tent. You beg people to check out the site and you hope that they like your work. Even after we get some people that come to the site regularly we bloggers still don’t know what we want to know. Does anyone care? Is there anyone out there that reads what we write and thinks “Wow, that was good!”? A reader comment goes a long way, as does people who take the time to share on social media, but most bloggers will still wonder how many people just click the link or share without reading. Well-meaning people that want to help promote you but do not have the time to read. In short, every blogger just wants a pat on the head and a compliment from a complete stranger. This award is so much more than that. The Versatile Blogger Award is a tip of the cap from an established blogger that thinks what you are doing is not only good work, but worthwhile. It says that they are recommending your work to everyone who reads their blog, and they are doing it without reservation. It, at least to me, was instant validation from a complete stranger. A stranger who was an established writer and who wanted to let me know that she was willing to endorse my efforts in public on her blog. So, thank you Julie, that is what being nominated meant to me. I mentioned that there are rules once you are nominated that you should follow, or at least follow as much as you care to follow them. The whole process has grown a little vague in the time that the award has existed and getting writers to follow rules is difficult enough, it gets worse when there is no one enforcing them. The most important rule is once you accept your nomination you have to nominate some number of other bloggers. The original rule seems to be fifteen, but other writers have done fewer. I like that idea because it makes being nominated a little more special. First I would like to nominate Julia for her work on ILoveYouMoreThanIceCream. Julia writes about everything, running the emotional gamut from Legos to depression. She does it with such heart that each post is independent from the last and each touches you in a different way. She is rare in the blogosphere in that she truly crafts each post as carefully as one of her handmade cards. My second nomination is Patty Chang Anker who blogs at Facing Forty Upside Down. Patty and I met through the 5 Boro Bike Tour and I have been in awe ever since. Patty is a force of nature, pulling amazing people into her circle and introducing them to the world. She assembled a completely diverse group of people to ride the 5 Boro Tour and I learned something from each and every one of them. She uses her blog to tell the stories of people she meets as well as her own amazing story of turning her life around by facing her fears. Patty goes big in each adventure, conquering a fear of riding a bike on the road by completing the 5 Boro Tour, learning to surf to best a fear of moving water, or taking the stage in New York to beat a fear of public speaking. Her blog is inspirational to say the least. My third and final nomination is Brian who blogs at IWearSpandex. Brian found my blog and left a generous comment so I checked out his space. I was blown away. Brian is a talented writer that has been promoted by BikeNewYork for his ability to write exactly what it feel like to ride a bike. It seems simple, but isn’t. He also has built a professional quality web site that shares nutritional and training advice as well as reports from various rides he has participated in as a charity rider. He supplements all of that with some great links and a great presence on social media. I Wear Spandex has become a standard from what a single author website can accomplish. So there you go, my three varied nominations for the Versatile Blogger Award. Go and check out their sites and enjoy the Labor Day Holiday if you are in the United States. Thanks to Julie for nominating me. It was great fun deciding who to nominate. Julia, Patty, and Brian have fun and go get your shiny new blog button and have fun deciding who to nominate!